Become a Member! Tell others to read this website!! ***DANGER***USA goes to DEFCON 3. USA prepares for First Strike on Russia! DEFCON 2 is the Actual Threat Level given intel on Troops, Staging, Readiness. DEFCON 2 people. Do you understand? USA is starting WAR with Syria/Russia! cnn propaganda of Russian “hacking”. The reason is entirely POLITICAL GAIN! This is a ***WARNING*** of imminent WW3 launched by USA to stop 2016 Election! Hillary Clinton is losing in real Polls, so Plan “B” is to launch WAR on Russia! Then Obama declares Martial Law, suspends the Constitution, and stays in Office! All planned. SC warned of this months ago. It is so simple. What will you do?! This is REAL people! SC has been warning of dangerous signs from God for years! This is REAL people! SC has been warning of the USA building up for this-years! The USA has been “hijacked” by foreign bankers and corporations to do their will! 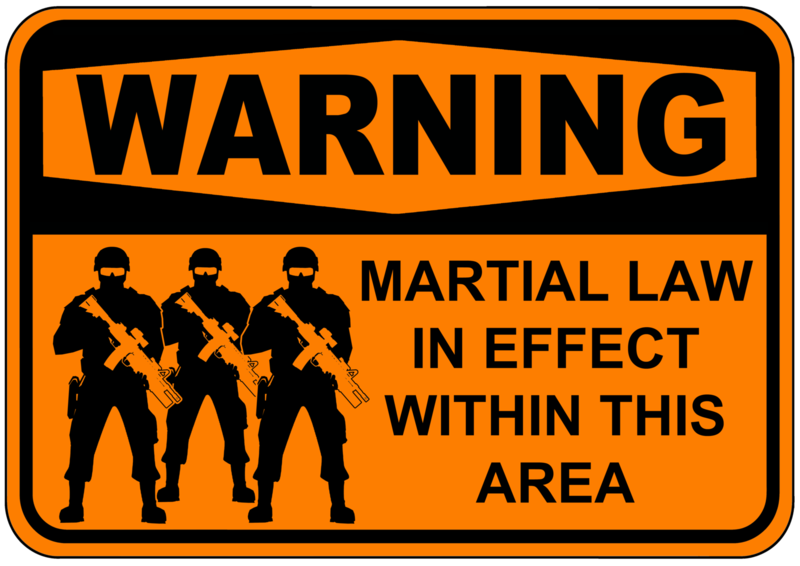 Martial Law Signs are already distributed throughout ALL the United States! What have YOU done to PREPARE, BE READY, for this clear and present Danger? SC has reported on all this for years, HERE on this website! READ THIS WEBSITE! DONATE IMMEDIATELY TO SALVATION CANADA. We need your funds before the banks close! This funds US christians, and Canadian Christians. DONATE! Click Now ^ Make a Donation by PayPal or VISA, Credit Card. Do This Now to give to Charity! Take the seconds needed to Do This Now. The Bible says: Pray for Today, Plan for Tomorrow. Have YOU done either? Read this entire website! Become a member of salvationcanada. Email us. JOIN YOUR CHRISTIAN MILITIA TODAY! Anti-Muslim Obama. Anti-Clinton. FIGHT FOR YOUR COUNTRY, USA, CANADA, EVERYWHERE! EVERY COUNTRY! the Christian God! The ONLY GOD!! 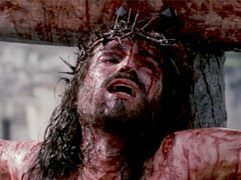 Only Jesus Died for your Sins! Do NOT WATCH TV! DO NOT LISTEN TO cnn, fox, nbc, abc, cbc, ctv or any CENSORED news agency. YOU ARE BEING BRAINWASHED! YEARS OF flashing light brainwashing! Instead, listen to short wave radio, RT, TASS, which reports the REAL NEWS! This is it FOLKS! It’s the REAL THING! Ladies and Gentlemen, we are at WAR! US S.S. John Kerry speaks with Russian foreign minister Sergei Lavrov. An agreement has been made, suspending all threats of military action. Syria agreed to account for and number all SARIN GAS, within one week!! Then, international inspectors from the Organization of the Prevention of Chemical weapons will be given access to Syrian chemical weapon depots. Then, through 2014, the SARIN GAS will be properly disposed of. Putin also had Syria agree to the “UN Chemical Weapons Ban” and will sign it. Prayers brought Peace and Putin brought Peace.! Obuma just warmongered and Kerry kept on LYING. Shame on YOU, USA. Interesting how Kerry, the Secretary of State, is initialized SS . Nazi?? Sarin Gas becomes undetectable/unviable in about 7 days. The time has passed since the Damascus Slaugher by WMD Sarin Gas. Now, Assad “relents” and agrees to let UN inspectors in. What a crappy con-artist Assad is. Hang the mass murderer for War Crimes!! UN Chief demands access to Syria Sarin Gas Attack Site! UN Secretary General Ban ki-Moon called on a UN investigation team, tasked with probing allegations of use of chemical weapons in Syria, to be granted permission and access to “swiftly investigate” a latest claim that Syrian regime forces had used chemical weapons in suburbs of capital Damascus. -Speaking at daily press briefing, Ban’s spokesperson Eduardo del Buey said the UN head reiterated his call for a cessation of hostilities so that humanitarian assistance can be urgently delivered. “The Secretary General now calls for the mission, presently in Damascus, to be granted permission and access to swiftly investigate the incident which occurred on the morning of 21 August 2013. A formal request is being sent by the United Nations to the Government of Syria in this regard. He expects to receive a positive response without delay,” Buey said. *New: More than 50 Nations, including Significantly, Syria’s key ally Russia have joined international calls for Syria’s President Assad to give United Nations inspectors immediate access to the site of the SARIN GAS SLAUGHTER. At least three victims of the alleged chemical weapons attack in east Damascus on Thursday have been smuggled to Jordan where samples of their blood and urine will help determine which agent was used to gas hundreds of people. DEAD Cats and Dogs are collected as evidence of Sarin Gas Slaughter. Sad to see even this cat could not escape the SARIN GAS. Moscow suggested the attack could be a “premeditated provocation” by opposition forces but urged Mr Assad and the UN to agree to a visit to the site in the Damascus suburbs of Ein Tarma and Zamalka. Footage distributed by activists, which shows unconscious children, people foaming at the mouth and doctors apparently giving them oxygen to help them breathe, has triggered anger around the world. The government has denied it used chemical weapons, calling the allegations “absolutely baseless”. UN figures show about 1 million children had fled the country since the civil war began two years ago, AND about 4 Million fleeing in total from Syria. Syria Horrifying use of Chemical Weapons against baby children, AGAIN! THOUSANDS SUFFER TERRIFYING SARIN GAS SLOW DEATH!!! Warning: Graphic and Disturbing Pictures. Thousands of babies, children, men, women, Slaughtered in their sleep! Syrian President Bashar “Hitler” al-Assad Ordered the Sarin Gas Attack. Syrian President Bashar “Hitler” al-Assad. Dead Children. Many Dead Children. Ordered by Syrian President Bashar “Hitler” al-Assad. A slow, painfull, terrifying, agonizing, brutal, gruesome, DEATH. The babies were the first to DIE. United Nations spokesman Eduardo del Buey said Secretary-General Ban Ki-moon is “shocked” to hear reports from Syrian activists that government forces used chemical weapons overnight. Ban Ki-moon said repeatedly that if chemical weapons have been used in Syria, it would constitute a war crime for which the perpetrators must be held accountable. United Nations Investigators are currently in Syria, compiling evidence from previous Sarin Gas Attacks on civilians. but talks have been stalled for years on the Syrian Civil War Crisis. Meanwhile, the Body Count of Dead Children continues to climb. As the images of dead children circulated globally, more than 35 countries, including Canada, demanded UN weapons inspectors abandon their original mandate for an immediate investigation of the chemical attack. -Russian officials spent most of Wednesday backstopping Syrian denials, calling the claims an opposition “provocation” aimed breaking the deadly stalemate that has cost more than 100,000 lives. -With more than 120 chaotic videos circulating online delivering scenes of men, women and children splayed out and struggling for breath on makeshift hospital floors, the likelihood of a rebel conspiracy theory seemed extremely remote. Entire families, were wiped out in their sleep. “They were lying where they had been,” he said. -Many chemical weaponry experts said footage of the aftermath showed strong evidence consistent with the use of a deadly toxic agent. “You can clearly see the typical signs of asphyxiation, including a pinkish-bluish tinge to the skin colour,” Jean Pascal Zanders, a former analyst with the Stockholm-based Chemical and Biological Warfare Project. “There is one image of an adult woman where you can see the telltale blackish mark around her mouth,” said Zanders. -In Washington, White House officials struggled to reconcile the latest allegations with the Obama administration’s increasingly strained claim that it will not tolerate the Syrian government crossing the “red line” of using chemical weapons. Obuma once again DROPS THE BALL!! And the DEAD keep piling up. Horrific pictures and video shot by activists in several Damascus suburbs showed clinics swamped with corpses and toddlers struggling to breathe. The broadcast claimed to show scenes recorded after a series of chemical weapons strikes on rebel-held areas. and was delivered as families were asleep. Babies died in their cribs. All corpses had to be identified and buried hastily. Rescuers and victims said the shelling of eastern Ghouta started shortly after 2am and targeted three districts, Ein Tarma, Zermalka and Jobar, all rebel strongholds for the past year. “It was around 2.30am Wednesday when we received calls from Zemalka and Jobar,” said a Free Syria Army (FSA) officer, Captain Alla’a al-Basha, who has documented previous alleged chemical attacks in the area. “The FSA members were asking for more forces to evacuate the civilians as the shells were coming in at around five per minute. As soon as I and my team arrived at the scene, I saw bodies scattered in the streets. I saw whole houses – none of their residents were alive. When I got there, I could smell what seemed to be burning sulphur and something like cooked eggs. The smoke was not pure white. “Most of the victims were shivering and they turned yellow. I saw a woman who was tearing at her clothes as she could not breathe. The number of the casualties that we were able to document so far is 1,228 dead. The doctors think that more than 20 shells were fired with fatal gases. Doctors at makeshift clinics said they were working without oxygen and had been overrun by the number of victims, many of whom needed lifesaving treatment that they could not provide. -Sergeant Abu Ali, who runs a field hospital in the Nashabiya area of eastern Damascus, said he had received patients who were vomiting and had high temperatures, breathing problems, limb stiffness and were in comas. “We received 60 cases. Most of them were sent to the nearby farms after their situation was stabilised and those with acute symptoms were kept here. I have very few medicines and all the oxygen tubes I have had run out now. The child (above) was saved, but permanent damage was done. The toddler in the (below) video, was not so fortunate. Toddler, a victim of the chemical weapons attack, in his death throes. WARNING: GRAPHIC AND DISTURBING CONTENT. WARNING: THIS VIDEO NOT SUITABLE FOR UNDER 18 years old. WARNING: THIS VIDEO IS OF THE DEATH OF A TODDLER FROM SARIN GAS. Please Donate to SalvationCanada so we can help the LOST and DYING. Please Donate, so we can continue to help families, children, and babies. Please Donate. It takes much effort dig for Truth and deliver it here. Thank you, for giving, today. Why does SalvationCanada release such difficult pictures and video? Answer: Because the Truth is Important, and must be told. How will anyone know or understand, if you hide the Truth from them? First responders to a reported chemical attack in Syria have died after treating victims, providing more evidence that a weapon of mass destruction was indeed used. Many many nurses have died. At least six (6) Doctors have died. Only a Weapon of Mass Destruction, such as Sarin Gas, could do this.